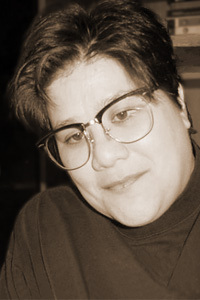 Patty Paine is the author of a poetry chapbook, Elegy & Collapse (Finishing Line Press, 2005), and editor of the online poetry journal diode. Her poems have appeared or are forthcoming in Gulf Stream, Handsome, The Journal, and Southern Poetry Review, among others. She is an assistant professor of English at Virginia Commonwealth University in Doha, Qatar. Paine is currently editing an anthology of translated Arabian Gulf poetry.